Below is a transcript of the Internet Marketing for Smart People Radio show titled The Art of Seductive Writing: A Conversation with Robert Greene, which aired on Friday, October 21, 2011. 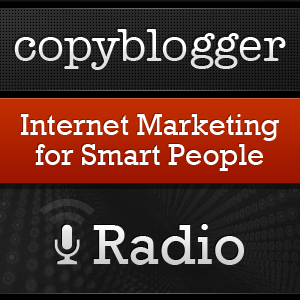 Robert Bruce: This is Internet Marketing for Smart People radio. I’m Robert Bruce and I’m asking questions today of a writer many of you will know. For those of you who don’t, I urge you to get to know him and his work. Robert Greene is the best-selling author of The 48 Laws of Power, The 33 Strategies of War, The Art of Seduction and with rapper 50-Cent The 50th Law. He’s also consultant to several well-known, but undisclosed, business executives and sits on the Board of Directors of American Apparel. Thanks for getting here. It sounds like you’re a very, very busy man these days. Robert Greene: Thanks for having me on the show, Robert. I’m only super busy because I’m working on another book. When I work on a book, I tend to drop everything else and work seven days a week, 10 hours a day. I’m sort of in the eye of the storm. Robert Bruce: Lock the doors, draw the shades, head down at the keyboard? Robert Greene: Yes. It’s for a reason. I find with anything creative, you have to be very intensive. The more ideas start coming to you, you have to suffer a bit. You complain that you don’t have much of a life but the work really improves the more intensely you focus on it. Robert Bruce: I’d like to ask you a couple of questions about your newest, yet-to-be released book at the end here so we’ll circle back around to that. I want to start with how you became a writer. I’m fascinated, and very encouraged by little bits and pieces of your story that I’ve heard of your work history and how you came to be a writer. I’m wondering if you’ll give me the short version of it, but I want to hear about your struggles and successes leading up to the writing and publication The 48 Laws of Power. Robert Greene: I’ll try to keep it brief. I started writing when I was a kid. I’ve always been writing and it was my main love in life. In my 20’s, I lived in New York and actually worked for magazines and did journalism, which I really didn’t like. I remember one time I did an article and an editor had lunch with me. He proceeded to say that I was one of the worst writers he had ever known. In the late 80s-early 90s, I started working in Hollywood screenwriting. These were forms of writing that weren’t really fitting with me. I wasn’t happy with them. In 1995, an old friend from my days at Berkley where I went to university, he was involved with a new school that was being started up by Benetton in Italy, a media school. He invited me to come there to help write the catalog that would help announce the school, something weird like that. While I was there, it was sort of a disaster. I met this man who was also invited there, a Dutchman. He was a book packager, which basically means a person who kind of produces books and puts the whole thing together; an author and design to sell to publishers. So I quit my crappy Hollywood job, borrowed money from parents and worked like a fiend on this treatment because I saw this as my one chance to get out of bad jobs and do what I probably loved. Robert Bruce: You can correct me if I’m wrong, but you were no spring chicken at this point either. Robert Greene: Well thank you for reminding me. I was probably about 36 or 37. You’re right. necessarily, we both know, objectively true. I know exactly what you’re saying. Robert Greene: I’m a late bloomer so it’s true. It seemed like a fit. All the other things weren’t fitting and if I blew this, who knows what would happen. If you know my books, you know in the War book, there’s a thing called the “Death Ground Strategy”. Well this was the Death Ground for me. He loved the treatment and he paid me to live, as he promised, a nice amount. After the book was written, he sold it to Penguin for a good amount. It’s been pretty smooth sailing ever since. I definitely have this man to thank. I will thank him the rest of my life. He was a great person and I don’t know what would have happened if I hadn’t met him. Maybe I would have found my way to the books some other route but that’s sort of how I ended up where I am. Robert Bruce: The Art of Seduction was published in 2001 and it is a powerful book that covers many aspects of attraction, authenticity, storytelling and closing the deal, so to speak. If any of that sounds familiar out there, to you listening, you’ll realize why I’ve asked Robert here today. That’s to talk about the application of certain parts of this book, “The Art of Seduction” to writing and marketing. cliffhanger technique of storytelling. What’s the thing, if you can pull out one thing that you found to be the most important aspect of using suspense? Robert Greene: The one thing you have to keep in mind is the 24 chapters in that part of the book that kind of go in sequence. You’re moving through a process. To keep them in suspense comes in a certain point of the seduction. I wouldn’t say that you would ever want to start that way. Even in marketing, that wouldn’t be your first maneuver. That said, I link it very much to the art of storytelling. I found in my books that I always tell stories in them from history. In this particular chapter, if I remember correctly, it’s the story of Casanova. There’s something about hearing a story that puts people in a frame of mind in which they open up towards any kind of seduction; any kind of sell. I think what it has to do with is the sense of being led along by somebody else; by a writer, a storyteller. I even link it up to the childhood feeling of being carried by someone in their arms and you don’t know where they’re taking you; or to being in a haunted house and you don’t know what’s going to happen next. It’s the moment of suspense where the author or filmmaker keeps you in this state where you’re at a crossroads. What will happen next? Your spirit is open. You’re not resistant. You’re not thinking about yourself. You are so vulnerable to any kind of seductive maneuver. So in an actual seduction, I give the advice that it’s like a play or a story that you’re involving this woman or man in. You’re literally creating a drama and the element that they literally don’t know what’s going to happen next; it’s not that you’re completely unpredictable, that you could pull out a knife. It’s all within certain limits. But it’s the sense that I don’t know what this person is going to do next; it’s extremely powerful. When it comes to marketing and advertising, we live in a world where people are so saturated. We’re so bored with ads that are out there. Even the internet ads are so predictable. You just shut them out. No one is paying any attention to that. If a marketing person or an ad person comes up with something that isn’t what you’ve seen before, you suddenly pay attention. It’s new. It’s a surprise. You have that element of suspense again. So it’s extremely important to anybody in the arts telling a story or even in advertising. I think it’s interesting that you chose that chapter. Robert Bruce: I’m glad you brought up the fact that this isn’t something that you want to lead with. One thing I failed to do in the beginning here; we could talk for 12 hours about this book and it’s applications to marketing and advertising. But obviously we’ll be jumping just a few really choice places here. There’s a reason for my madness, so to speak, in this. With this idea of suspense, Robert, what we talk about on Copyblogger a lot is content marketing. So as opposed to the one hit ad that has to grab you and sell you in one moment, what we talk about a lot in content marketing, and this is a sales page so to speak, that can go on for years. Stories that we’re telling about our companies or about our ideas for years. People are coming in and dropping out at certain points along that continuum but the idea of suspense over the long haul. Robert Greene: Right, that’s the main thing about a story or a seduction that it occurs over time. If you just do one thing that’s unpredictable, it’s not necessarily seductive. But if over a course of several weeks in which you’ve planted the seed; I’m being male-centric here but let’s say you’re seducing a woman over the course of several weeks or months, she’s been sort of lulled into this pattern that you’ve given and then you surprise her with something. You take her somewhere. You do something that she hasn’t expected. Coming out of this process, this period of time where she’s had her expectations created and then you go against it is very powerful. You go against it again. You work on that. But the element of time is extremely important. The junk idea is to surprise somebody in a one off thing as you mentioned. That’s easy to do. In fact, we’re kind of sick of it. It’s more like how do you sustain people’s attention over time and keep them suspended over weeks and months. That’s the real trick. Robert Bruce: Chapter 6, it seems like a smaller, tactical thing as opposed to a larger strategy but you talk about insinuation. You mentioned just a moment ago about dropping hints and planting seeds long before you can expect any kind of return on the efforts that you’re putting in. We see this all the time in great marketing and advertising campaigns. Apple is phenomenal about this; their famous secrecy leading up to launches of new products, new software. Can you point to a way maybe a writer can use insinuation to connect with readers more deeply? Robert Greene: It really depends on the medium. Let’s back up and explain a little bit of the philosophy behind it and then go from there. The idea is in any kind of seduction, you want to engage the other person’s willpower. That will pertain on any level; political, marketing, sexual. If you’re just pushing someone around and telling them to do this or that; we’re naturally resistant, stubborn people that like to listen to ourselves. But if you engage their willpower where they think the idea that popped up in their head is their own, when in fact it really came from you, suddenly you’re in a whole different league. They think it was their thought. Their willpower is engaged and they’re now completely open to any kind of maneuver. So in my writing, if I’m going to come back to your question, I like to make the stories sort of open-ended and make it so that I bait them in a way where you can relate them to your boss. I’m talking about Louis XIV but that really sort of applies to my boss, or my girlfriend. When you do that, then their imagination is engaged. You want the person on the other end to be thinking on their own, imagining, taking your words and moving with them. That’s the whole game of seduction right there. Robert Bruce: So there’s a time to be very specific, obviously. But you’re saying that there is great power in not being overt? Robert Greene: Specific can be good in marketing. Giving people facts and figures about what your product can do. That’s sort of the old school way. For me, sometimes I think it’s quite effective. In the seduction, I really don’t recommend the specific approach as far as a sexual or a political seduction. I don’t think you have much to gain. You want to create mystery, an air of fantasy. You want people to imagine and project their own ideas on to what you’re doing or saying. In marketing something, even in marketing a political figure, a business person or a public figure, you want people to start projecting on to that person and see whatever you want them to see in him or her. specific creates a sense of familiarity with what you’re showing people and then the seduction circuit, the electricity, is cut off at that point when people think they know exactly what you’re talking about. Robert Bruce: Enter their spirit. This to me is one of the big ones. But in copywriting, one of the most important tools in our box is to, as much as humanly possible; research, knowing your product cold is to know your audience; know who you’re writing to. What are some ways that we can write more directly to a person’s needs and desires based on this chapter in your book? Robert Greene: I could speak for years on this. It’s probably the greatest problem that people have in seduction. Because our tendency is we’re in our own heads. In our culture now days, it’s so dangerous because with all of the distractions that we have, we tend to be in our heads more than ever. It’s very focus on other people like maybe 40 years ago it wouldn’t have been so difficult. You really have to get in the habit of putting yourself into other peoples’ positions, into their skin, into their way of thinking as deeply as possible. Get rid of all of your preconceptions, politically, etc. and put yourself 100% in that individual or in that group. With a group that you’re trying to market to, it’s a little more complicated but now in this day and age, it’s so much easier to get a direct relationship to your audience and to understand their needs through the internet. I talk about this a lot in The 50th Law. I have a whole chapter about how to maintain incredible closeness to your customers and to be able to think like them. You don’t want to become a complete copy of the person you’re trying to market to. There’s still an element of leading them; of bringing your own spirit but most people sin on the sense of foisting their own values and their own ideas on other people. There’s so much I can talk about. Maybe if you direct me a little bit here on something specific about entering their spirit but it’s something that a lot of people are bad at. I’ll tell you that. Robert Bruce: One thing you mentioned briefly is the access that we have to the thoughts, ideas, desires, and needs of people through social media. You could do a real basic search on Twitter, Facebook or wherever your close circle or a broader circle of people are. Obviously, it’s an effective approach but in terms of a way to use that, a way to think about looking at that data that can be helpful for a writer trying to understand a specific group. Robert Greene: It’s really difficult to say. For me, as a writer of books, I have a little different approach. I really don’t want to hear the opinion of 10,000 people. I’m too easily influenced by the opinions of other people. I know that might sound surprising but I’ve learned that about myself. If I get too many opinions on Facebook, Twitter, etc., I become paralyzed but I love and need feedback. When you write something, you’re never really aware of how it’s going to affect people. You’re in your own head and you have your own subjectivity and then you write something, a story or a bit of advertising, and people take it much differently. It becomes an object out there and you yourself can’t judge it. You need another pair of eyes. My system is I’ve got people that I trust. I have 5-10 people that I submit my work to. They say this is working, this isn’t working. I pay so much attention to it. I have no ego. I’ve had four best-selling books but if one of these people says this isn’t working, my ears are up there. I think that it’s your ego that often gets in the way. Recently, I’ve been talking about my new book and this man asked me the title. I told him and he said, “you know, this would be a better title”. You know, you’re right. I asked 10 other people that I trust and they all agreed. I’m going to change the title. It’s just a little bit of how you are. There’s a writer in Brazil, his name escapes me, I think it’s Paulo Coelho who uses the internet, Twitter, and Facebook to basically discover how he’s going to write his next novel. He’s a very legit writer; a very good writer. I could never do that. Robert Bruce: Coelho is one of the best-selling novelists of all time and how he uses social media and how he uses the internet, I could never do it either. But there’s a lesson there. Robert Greene: I think at some point I would like to try that maybe with a novel or a book. I would like to see it as some sort of experiment and see what came from it. I think it would be fascinating. I’m open to that as well. Robert Bruce: Let’s close it out with a final question about this new book that you’re working on. I think it’s particularly of interest of our audience on Copyblogger. A question we get a lot around here is some kind of version on “how do I get better at writing” and you more than most know that there all kinds of techniques. Some of them work, some of them don’t. This book is tentatively titled Mastery. If it’s a deep, dark secret, we don’t need to reveal it here unless you want to. From the little I’ve come across, I don’t want to over simplify. It seems like you’re trying to get to the root of the questions: what should I do and how do I become excellent at it? What examples and advice can you give Copyblogger readers based on those two questions? Robert Greene: That’s the really the opening chapter of the book. I called it “Your Life’s Tasks: What You Were Meant to Do in Life”. It’s by far the most critical question you will ever answer. I would maintain that 70-80% of the people out there are in the wrong career, the wrong profession. They got in for the wrong reasons, often for money or attention (usually for money). Because it’s a bad fit, things start going wrong in their lives. Robert Bruce: You think 70-80%? Robert Greene: Yeah, I really do. Entrepreneurs are generally following something from deep within. It’s not a perfect fit. Every human being is unique. Everybody has a set of DNA that will never repeat in the future nor has even happened before. There’s something about you that’s completely different. It’s not a clichÈ. I’m not making that up. You need to know that and feel it very deeply. It can be related to something very primal like writing, interest in color and design, mathematical and patterns. That means you can branch off into particular fields. It’s not something narrow like that. But a lot of people are very much mismatched. So I’m going to be going at length in the book about how you really connect with that sort of primal thing in you that makes you different from other people. For me it was writing. As I said, I kind of bounced into the wrong areas of writing and then I found the right fit. It can take 5, 10, even 15 years but it’s a process. Once you find it, everything fits in your life. It really depends. Some people know when their six years old what it is and some people have a harder time. It doesn’t mean anything. I talk in the book about Charles Darwin, one of the stars in this book. He’s one of the greatest geniuses that ever lived. He was a lost young man who had no idea what he was going to do. His father thought he was a loser, washed up. What am I going to do with this son of mine? Finally when he’s 22 years old, he graduates a university. He goes off on this five year voyage on a ship, he didn’t even really ask for the job, and suddenly he finds himself in his mid-20’s. He discovers what that was. It can happen later in life but you have to be the one that goes through the introspective process of examining. If you want to be a writer because you like the attention or the lifestyle, then please don’t get into it. It’s a terrible, rough life. It may not pay well for a while. You have to be alone a lot. You have to get into writing because there’s something in you that needs to be expressed and it’s very deep. Otherwise you’re not going to succeed at it. Now as far as how to make yourself a better writer, I make the point that it really is not a matter of genetics. It’s not a matter of you being born with talent. There’s an element of that, I don’t deny it. It’s really about your tenacity and your determination. If you think and believe that you are someone who can write or you want to write, then it’s really a matter of actually doing it. There’s the cliche of 10,000 hours but it really means something. You have to find out which form of writing suits you. You have to find a voice. Reading a lot is an incredible help. You can’t be a writer unless you read voraciously because reading imprints in you patterns of thinking and expressing yourself; filling your head with ideas. You have to be a reader. It doesn’t matter what you read. It can be comic books but you have to be reading a lot. You have to be practicing it all of the time. thing you can do. You don’t need expensive equipment and you can be anywhere. Just practice, repetition and getting feedback from people. You have to have a real stomach for being alone. If you don’t have that stomach for sitting in front of a desk and not being able to see people for maybe weeks on end, don’t get into it. All the writers I know are people that can enjoy being alone a lot. Robert Bruce: The hammer drops. It’s absolutely true. I’m very glad that you’re being explicit about that. You’ve experienced it first hand and you continue to experience it, right? Even at your “level”, so to speak. Robert Greene: I’ve been doing the books for 15 years, a little bit more. You get better and better at it. I’m learning things as I go along, continually. The whole point of the book I’m writing now called Mastery is that you reach a point of mastery. I’m not saying that I have reached it but the feeling when you get there is what I’m trying to describe and the feeling is really exciting and really pleasurable. It means ideas come to you out of nowhere. You have what I called a “fingertip” feel; an intuitive feel for what is right. You’re just sitting there writing and then all of a sudden, wow; an idea comes. You don’t know where. You get to that point after you’ve experienced it for so many years, after you’ve done it for so many years. There’s no drug you can take, no class you can take, no shortcut out there, no guru who can make you skip the 5-10 years. You’ve got to do it yourself. Robert Bruce: What’s the publication date? Robert Greene: I’m behind on my deadline. The publication date is September of next year. Robert Bruce: I do want to let the folks listening know that the show is sponsored my Internet Marketing for Smart People which of course is the premier online marketing course delivered straight to your email in box. This is the best that Copyblogger.com has to offer wrapped in a nice, little package for you, well, 20 completely free little packages to be precise. Just head over to www.imfsp.com and drop your email address into the little box that you’ll see there. We will take care of the rest. Robert, where can people get more of you and find your work online? Robert Greene: I have a website. I’m afraid it’s been a little bit fallow for about a year now. It’s www.powerseductionandwar.com. I have quite a few blog posts but as I said there a little bit old. There’s information, connections to all my books and things like that. I will be blogging again as soon as this book is over. Robert Bruce: Great. That’s www.powerseductionandwar.com. I’ll link that up in the show notes for everybody. Thanks to everybody for listening out there. Mr. Greene, I thank you for your books and I thank you for coming on our show. Robert Greene: Thank you, Robert. I really enjoyed it. Thank you.